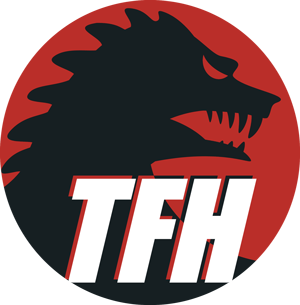 Here’s the first of a month-long series of special Halloween quizzes at the TFH Movie Challenge! With Bela Lugosi and Lon Chaney Jr. in the cast, Abbott and Costello Meet Frankenstein does not want for horror movie icons, but what other star of the genre is on board for an uncredited contribution? After all the monsters are vanquished (for the time being), the Invisible Man pops up next to Bud and Lou in their escape boat. Price provided the voice-over. In The Bowery Boys’ 1949 horror farce, Master Minds, character actor Glenn Strange plays a hulking werewolf who switches brains with Satch. What other iconic monster is he best known for portraying? Strange shows off some solid comic chops in Master Minds with a convincing Huntz Hall imitation to his credit. Bob Hope’s stylish horror comedy The Ghost Breakers features a creepy zombie played by Noble Johnson. In what other classic horror film did he make a memorable appearance? Johnson went to school alongside Lon Chaney and, in 1916, started his own movie studio, the Lincoln Motion Picture Company, that specialized in films made by and for African Americans. After a long career as a character actor he retired from the business in 1950 and died in 1978 at the age of 96. It shouldn’t be surprising that Irish actor Jack MacGowran, the vampire-hunting Professor Abronsious of Polanski’s Dance of the Vampires, also played this famous figure from Irish history in an earlier film. MacGowran can be spotted among the leprechauns cavorting around the fiddle-playing Albert Sharpe in Darby O’Gill and the Little People. In Mel Brooks’ Young Frankenstein there is a holdover from the original James Whale film of 1931. What is it? Peter Boyle wears Karloff’s original neck bolts. Gene Wilder’s lab uses the electrical gizmos from the original film. The enormous door to the castle (with those “great knockers”) is from the original film’s castle set. Electrical special effects artist Kenneth Strickfaden created the spark-shooting apparatus originally used in Frankenstein. He designed similar visually impressive but completely useless machinery for The Mask of Fu Manchu and The Wizard of Oz. Michael Keaton has an enormous impact on Beetlejuice yet he appears on screen for just this amount of time of its 92 minutes. A similar situation occurred with Christopher Lee in Horror of Dracula where his limited screen time left him room for only 13 lines of dialog. This popular horror writer was instrumental in raising the money for Evil Dead II, Sam Raimi’s looney tunes send-up of his own original Evil Dead. King, a big fan of Evil Dead, lobbied long and hard for financing for its follow-up. Bill Murray agreed to appear in Ghostbusters only if the studio would fund what film? W. Somerset Maugham’s story about a pilot’s search for meaning was long a passion-project for Murray. What pioneering underground cartoonist has a cameo in Stuart Gordon’s gloriously gonzo horror comedy, Re-animator? Son of legendary animator Gene Deitch, Kim’s psychedelic landscapes were instrumental in setting the cultural tone of the sixties. He appears in Re-Animator near the film’s conclusion as a hapless doctor. What beloved Disney film shows up in Joe Dante’s small town horror satire, Gremlins? The gremlin’s chandelier-swinging, popcorn-throwing behavior is par for the course of any respectable Saturday matinee audience.